Tax day 2011 has come and gone. 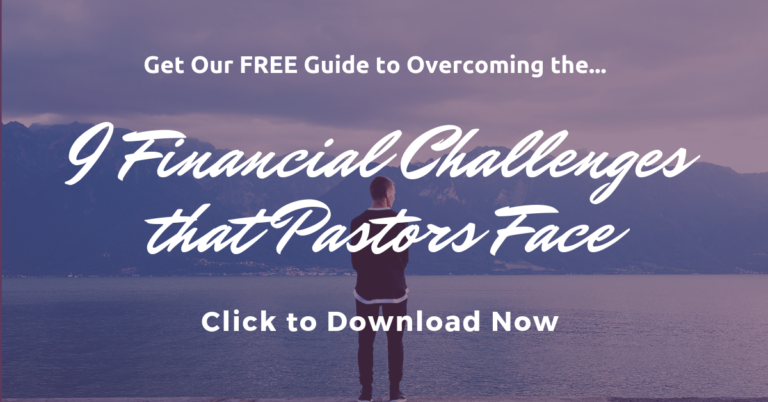 Now’s a great time for pastors to review your finances and look for more ways to reduce your state and federal tax burden. 1. Review your clergy housing allowance – Did you claim too much last year? Not enough? Just right? If you need to make adjustments, now’s a great time to submit the changes to your church board to have it recorded in the minutes. The current fair rental value of your home, including furnishings, plus the current year cost of your utilities (no matter whether your home is owned or rented). 2. Contribute to tax-deferred retirement savings plan – If your church or denomination offers a retirement savings plan, take full advantage of it by making the maximum contribution. The money you contribute comes out of your salary before taxes (reducing your tax burden) and it grows on a tax-deferred basis, meaning you pay tax on the back end, when you withdraw the money in your retirement years. As an added bonus, many churches or denominations provide matching funds (mine offers a 12% match if I contribute at least 5%). I read recently that 1/3 of American employees who are eligible to fund these retirement plans do not. This is a real shame because if you don’t do it, you’ll miss out tax savings now and years of tax-deferred growth of your funds in the future. 3. Pay for Child Care with Tax-Free Dollars – If your church offers a Flexible Spending Account (FSA), you can contribute money to it on a tax-free basis, and use the funds to pay for child care for your dependent children. 4. Contribute to a Tax-Deductible IRA – The amount you can contribute to an IRA is dependent upon your age at the end of 2011. If you are under 50 years of age at the end of the year, you can contribute a maximum of $5,000. If you are 50 or over, you can contribute up to $6,000. To open an IRA, contact your local bank or brokerage to see what they offer. 5. Adjust your withholding – If your church handles your federal withholding for you each time you’re paid (instead of you having to make quarterly payments to the IRS), and you are receiving a federal refund this year of $500 or more, you may want to decrease your withholding so you’ll receive more money in each paycheck. 6. Prepare for life without your clergy housing allowance – I hate to say it, but the day may come when pastors can no longer exclude housing allowance from taxable income. I think it would be wise to ask your tax preparer to do a “pretend” tax return without the housing allowance, to give you an idea of how things might change, and to help you think through other strategies that might help you reduce your tax burden. Please remember that every situation is unique, so please be sure to consult a competent professional accountant or tax adviser for more information.